Abstract: Thanks to technological innovation, new transports spring up in an endless stream. However, the emergence of Airwheel self-balancing scooter S3 has defined the future transportation with its humanized design and revolutionary functions. 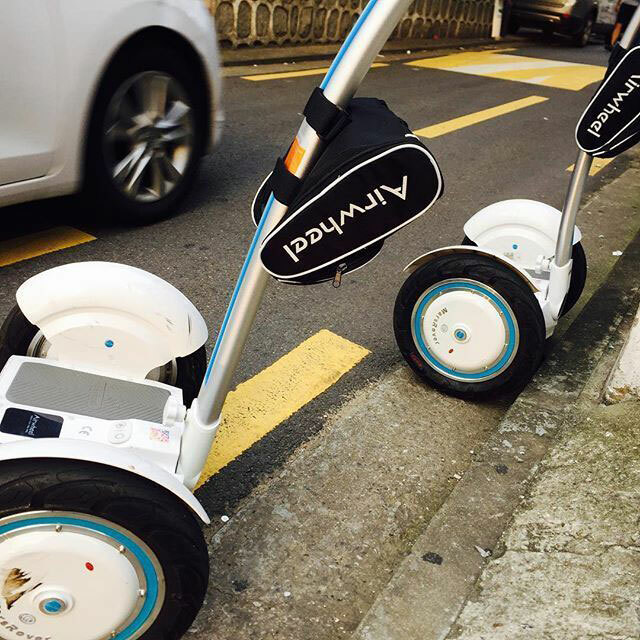 Moreover, it has raised the fun of riding and the technique of electric scooter to a new height. Together with the development of scientific technologies, more and more new transports emerge in an endless stream. However, very few of them stand for the futuristic transports but Airwheel self-balancing scooters, the S3 in particular. Thanks to its humanized design and revolutionary functions, it has brought technique of this exact vehicle and the fun of riding to an unprecedented height. At the first glimpse of Airwheel electric scooter S3, most of the people would definitely fall for it instantly. Without a doubt, consumers will be drawn by its billowing lines and exquisite delicacy. Besides, the essential colors of S3 are blue and silver. The mixture of these two colors creates a sense of grace and nobility. Moreover, it is equipped with a large replaceable display screen, on which riders can see the real-time data of the vehicle and make adjustment accordingly, reflecting the human concern that Airwheel shows for consumers. What’s more, the handle is anti-crash so that the damage to the vehicle can be reduced to the highest extent by preventing the rider from bumping into the vehicle. Furthermore, to ensure the durability of batteries and the safety of riders, Airwheel has mounted dual battery protectors on the S3. Airwheel has been dedicated to improving its products to the extreme. 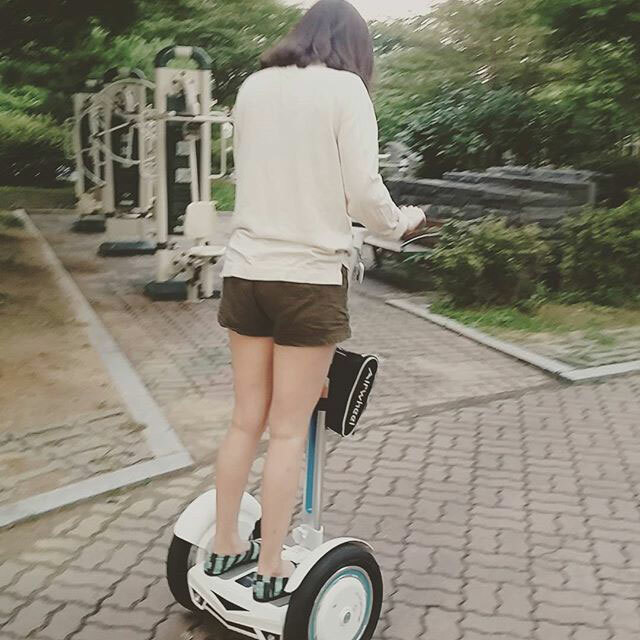 Apart from that, Airwheel has made some efforts in increasing the riding fun with electric Airwheel S3. S3 is mounted with two full range loudspeakers so that it can offer the riders music via wireless transmission. In this way, riders will be able to appreciate melodious songs during an enjoyable ride. When someone owns such a vehicle like Airwheel self-balancing scooter S3, he has actually opened a gate to the future transportation. Riders can always hit the road with an S3 and enjoy some music during the ride, which is the lifestyle that Airwheel wants to create for the consumers.